The Eygliers Inn team welcomes you to Mont-Dauphin Guillestre, in the Hautes Alpes, at the confluence of the Durance valley and the Guil valley. 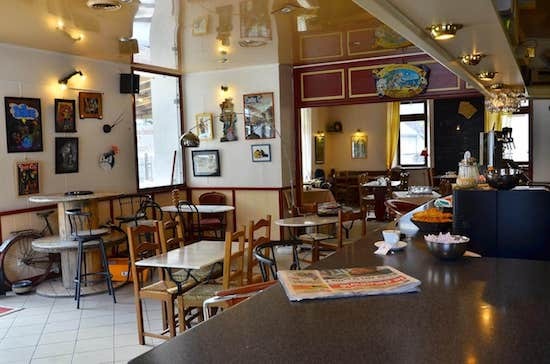 Less than 20 minutes from the Vars and Risoul ski resorts and the Queyras ski resorts, the Auberge d’Eygliers is also less than 30 km from the Serre-Ponçon lake to the south and the Serre-Chevalier ski area. North.Overlooked by the Mont-Dauphin fortified town built by Vauban and listed as a UNESCO World Heritage Site, our hostel will satisfy your gourmet desires, such as your need for sleep.The Hautes Alpes are full of invitations to practice sport: canoeing, rafting, skiing, cycling, climbing, free flight, kite surfing, swimming, paddle. 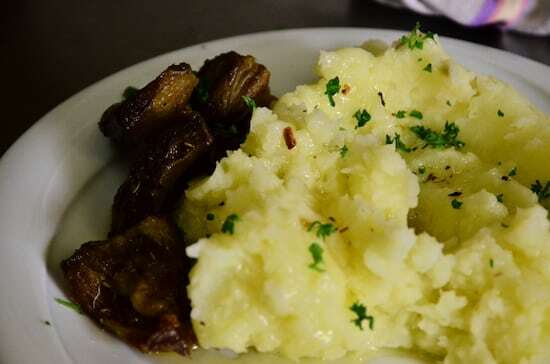 You will find close to our Hotel Restaurant all you need for a pleasant stay in Eygliers. We refuel our kitchen with fresh and seasonal products that we transform on the spot to offer you a meal rich of flavors and in short circuit. We buy our products from producers, breeders, cheese makers and winemakers from the Hautes Alpes who cultivate the taste of Authentic. 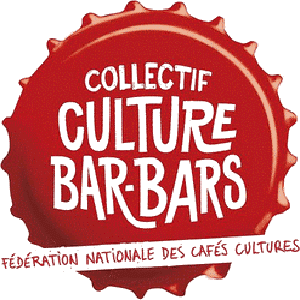 Member of the collective Culture Bar-Bars, we organize cultural events throughout the year. Ask us, we will adapt as far as possible! We have 10 rooms of different sizes and configurations. Each is equipped with a bathroom with towel and soap, a TV and WiFi. Our double rooms are equipped with comfortable bedding in 180 cm, a bathroom with toilet. Each room has a particular graphic universe. Sunny in the morning with the view of the stronghold of Mont-Dauphin, or sunny at night with a view of the mountains of the Hautes Alpes. 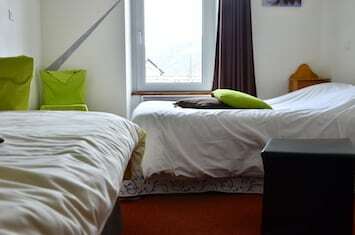 Our triple rooms are equipped with a double bed in 160 cm and a single bed in 90 cm. 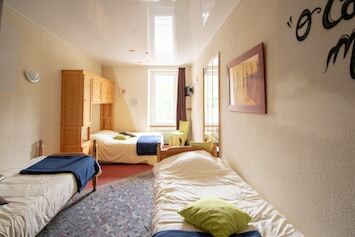 Ideal for single-parent families or for a group of friends, these rooms are equipped with a shower room with WC. Each room has a particular graphic universe. Enjoy a moment in family, with this room in which the key words are conviviality and reunion. 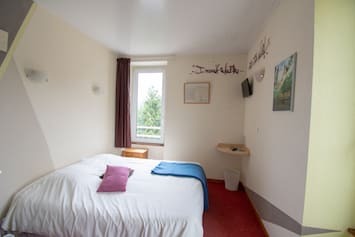 Two single beds of 90 cm and a double bed in 160 cm for a stay in parentheses for children and adults in various graphic universes.